The Great Orme is a wonderfully famous limestone headland, which is a much loved tourism area of sightseeing and interest. However, did you know that the formation is home to the most ancient mine system in Europe? Be amazed at a cavern carved out in the Bronze Age, that's over 3,500 years ago. In those times, their tools were entirely bone and tools! The Great Orme Copper Mine is the largest Bronze Age mine in the world. It was uncovered in 1987 during a scheme to landscape an area of the the Orme, revealing a new world of history, integral to the region. In fact scientists, geologists and archaeologists are ever delving deeper and uncovering more and more of this fantastic discovery, which has revolutionised the way we think about society of the time. 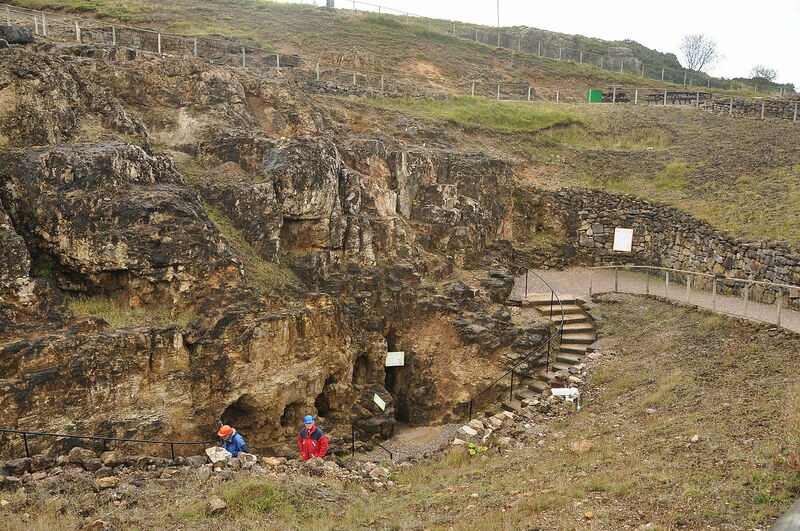 This is currently the largest prehistoric mine in the whole of Europe. Anyone keen for a spot of adventure in Llandudno need look no further than delving the deeps of this hulking mass of stone. The mines are open from the 15th of March to the 31st of October. Open from 9.30 with Last entry at 4.30pm.